ARLINGTON, Texas — No. 2 Clemson and No. 3 Notre Dame will meet in the Cotton Bowl here at the AT&T Stadium in Arlington, Texas, and you can stream the coverage live on WatchESPN.com and watch it on ESPN. Today’s College Football Playoff semi-final will for the first time see a matchup of undefeated teams in the 5-season history of the playoff. In fact, before this season, there had never been more than one unbeaten team in a single College Football Playoff, but this year there are three. Clemson and Notre Dame are joined by defending national champion and No. 1 Alabama which will play No. 4 Oklahoma in the second semi-final. The Fighting Irish (12-0), who are the first independent team to make the Playoff, are playing in their first College Football Playoff. They are an eight-time national champion. Meanwhile, the Tigers (13-0) are making their fourth consecutive College Football Playoff appearance and coach Dabo Swinney says his players are ready to play. The four-time ACC champions won the national title two years ago after beating the Crimson Tide. 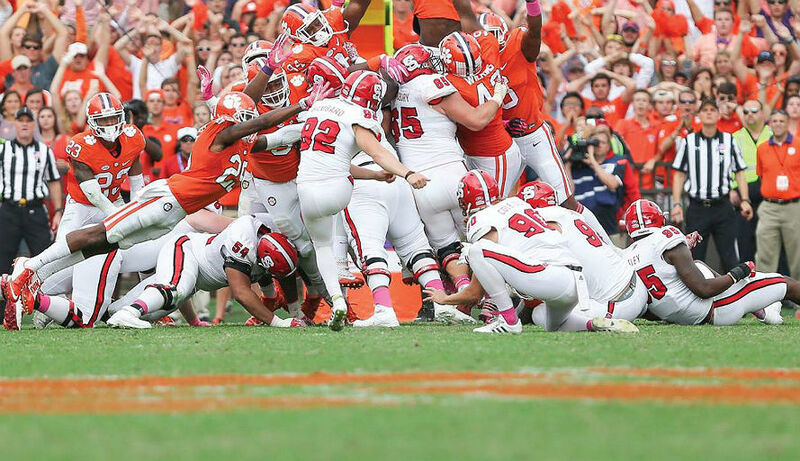 The football experts are expecting a very tight contest, but according to ESPN’s Football Power Index, Clemson has a 71.5 percent chance to advance to the national championships. Today is the fourth meeting all-time between Clemson and Notre Dame. The Tigers hold a 2-1 advantage in the all-time series with the most recent meeting coming in 2015 which ended in a 24-22 victory for the Tigers at Memorial Stadium.